Jennifer Mullen Ingerson (above left) was 53 years old when she learned of University Without Walls, the UMass Amherst major that awards credit for prior learning and helps adults complete their bachelor’s degrees. 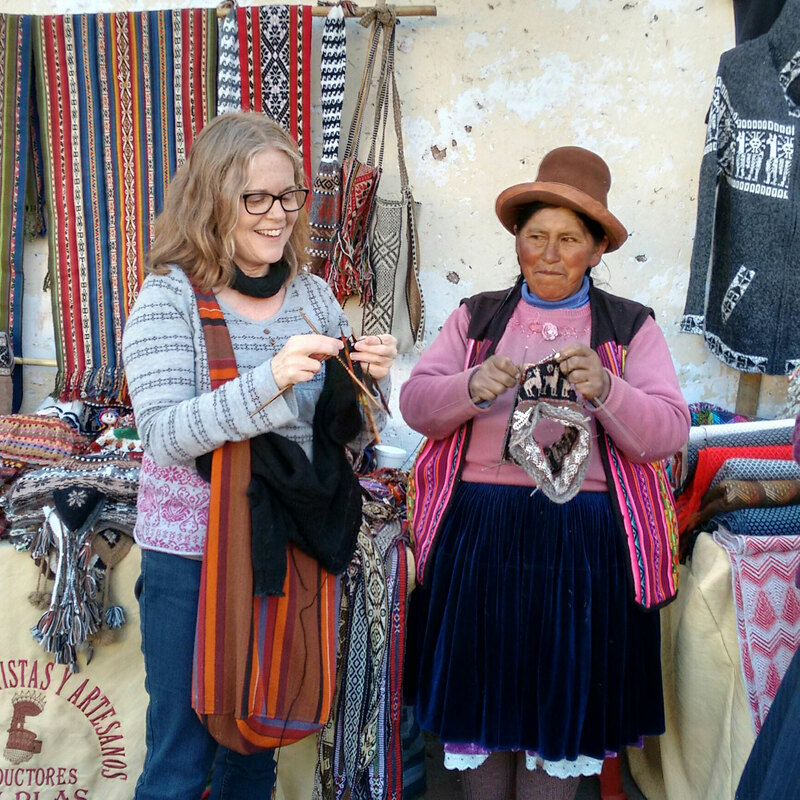 Back in school 31 years after dropping out, she then won a Gilman scholarship, which transported her to Peru to immerse herself in Quechua, the indigenous language of the Andes. The Gilman scholarship is offered by the U.S. Department of State to increase the diversity of Americans who study or intern abroad. Last year, 25 UMass Amherst students won Gilmans. Quechua may sound like a random choice, but I adopted my son from Peru 14 years ago, and Quechua is the language of his ancestors. There are still millions of native speakers in Peru and millions more in the five other Andean countries that span South America from top to bottom. My scholarship took me to a school in Cusco for four weeks, with four hours of private instruction per day. Perhaps this doesn’t sound like fun to you, but I was in a nerdy paradise. My teacher and I hit it off, and the hours, days, and weeks passed quickly. I’m now able to converse with anyone patient enough to wait—and wait—for me to construct every word in my mind before I say it. “Construct,” I say, because Quechua is very much like Legos: any wordy problem can be solved by adding a suffix. Need to say “in the house”? Just add a suffix to “house.” Need to say “it’s your house we’re in?” Add another suffix. Need to say “Oh dear, it’s not your cute little house we’re in”? Add three more suffixes. The words can get quite long and terribly meaningful. There are popping consonants to contend with. Cusco’s Quechua dialect has three different ways to say q, and one of them seems to involve gagging (the others sound like water being flicked into a skillet of hot oil). There are three t’s, and several c’s, p’s, and k’s. My Cusco neighbors probably thought I was crazy, because I practiced the more difficult consonants out loud on my long walks to school. I must have sounded like a stuttering squirrel. With a cough. I comfort myself remembering I’m one of very few people in this world who speak Quechua with an American accent. This edited excerpt was originally published in the Women on the Road blog. Hoq kusi k’usillu qhatuman ch’usasharan; pay munay q’ello t’ikakunata maskhasharan phiña warminman qonanpaq, ichaqa q’ello t’ikakunata tarispa hap’iqtin achhiriran. Akakallau! Achhiy means to sneeze! What could be more perfect? Quechua is full of onomatopoeia.